Karla Mae Jacobus, aged 58, peacefully went to be with her Lord at her home in Cary, North Carolina, on January 6, 2018. 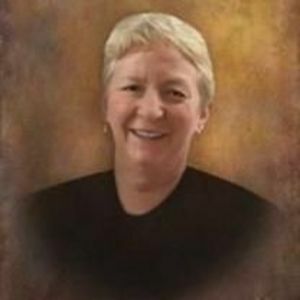 Born and raised in Grand Rapids, Michigan, Karla graduated from East Grand Rapids High School (1977), graduated with honors from Duke University School of Nursing (BSN 1981) in Durham, North Carolina, and completed an MSN in Medical Surgical Nursing from the University of Michigan in Ann Arbor (1985). Karla began her professional nursing career at Butterworth Hospital in Grand Rapids as a staff nurse in the Intensive Care Unit. She was employed as a Faculty Instructor for the Hope-Calvin School of Nursing Program (1985-87). Karla also served as Staff Development Instructor at Butterworth in the Medical ICU (1987-1990). Karla eventually heeded the call to return to the Research Triangle Park in North Carolina, where she lived until her passing. While in Cary, Karla was employed by several pharmaceutical companies, involved in product development. She worked in drug development for Adult ARDS, Cystic Fibrosis and Juvenile Diabetes, among other health conditions. She also traveled internationally to set up and monitor clinical drug trials for medications. Karla was employed as a Clinical Research Scientist at Burroughs Wellcome (1990-1995), as a Manager, Clinical Operations, at Inspire Pharmaceuticals (1995-1998), and, as Director and Senior Director of Global Product Development and in Medical Communications at PPD, Inc, (1998-2018). Karla had many unique interests. She joined the Fellowship of Christian Athletes at Duke and she remained active (including Myrtle Beach get-togethers). After the successful removal of an acoustic neuroma brain tumor, Karla became very involved in a support group devoted to the treatment of this condition. She later served on the National Acoustic Neuroma Association Board for many years, most recently as President. Karla was also a member of the Duke Nursing Alumni Council. Karla loved her church community at Peace Presbyterian Church, knitting new creations with her friends at Downtown Knits, enjoyed a good cup of Muddy Dog coffee, looked forward to weekly visits to the Farmers' Market, participated in regular book and biking clubs, enjoyed the Summer Concert Series, and loved cheering on her Carolina Hurricanes. Karla enjoyed cooking, family pets, reading, gardening, exercising/training, and many outdoor activities, including skiing. She was passionate about experiencing life with her cul-de-sac friends and family and was dedicated to sharing the accomplishments of her nieces and nephews, especially high school and college graduations. Karla loved traveling, especially family destinations in Traverse City, Michigan, Naples, Florida, and Newaygo, Michigan (Kimball Lake). Karla had a contagious enthusiasm for life, was quick to smile and laugh, was always up for an adventure, and was very generous with friends and family. Karla was preceded in death by her brother, Colin Roy Jacobus. She is survived by her parents, Phillip and Cherry Jacobus of Grand Rapids, Michigan, her sister, Karen Baxter of Grand Rapids, and her children, Casey Baxter Wilson (Ronny) and Matt Baxter, her sister Kristen Heckendorn (Steve) of Boise, Idaho, and their children Kate, James, and Grace, and her brother Paul Jacobus (Cindy), Gillian Young, and Graham Young, and her beloved furry friends, Tarzan and Tinkerbell. A celebration of Karla's life will take place at: Peace Presbyterian Church, 1777 West Chatham St, in Cary, North Carolina, on January 20, at 11:00 a.m., preceded by a visitation from 9:30-10:30, and a reception following the service. A second celebration of Karla's life will take place at Westminster Presbyterian Church in Grand Rapids on February 3, at 11:00 a.m., preceded by a visitation from 9:30-10:30, and a reception following the service.